Thanks for stopping by and visiting. 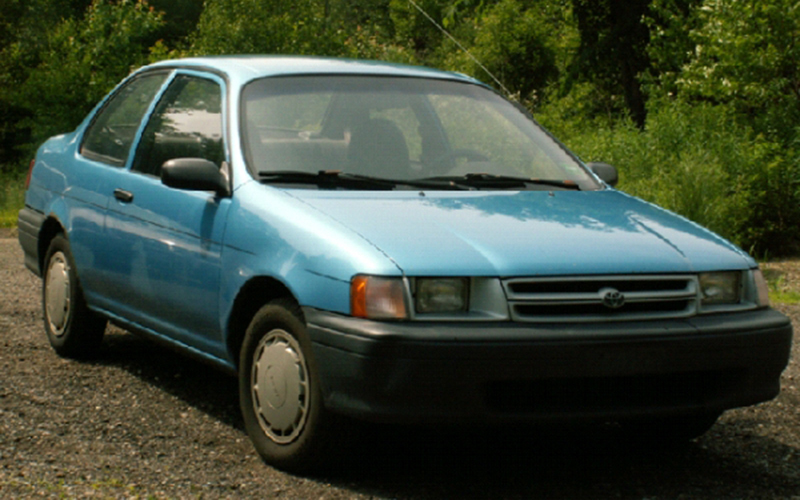 I have converted my '94 Toyota Tercel to run on an electric motor and batteries. Here you will see step by step the work we have done, the obstacles we've dealt with, and the successes we've had. Flip through some of the pages to see what we're up to. The project is mostly completed. For a quick laugh, take a quick look at our sister site SorryExxon.com. There are many people that have helped along the way. Some have gotten their hands dirty in the shop, and some have provided the information needed to get the job done. All the work performed was at his shop. He is also a wealth of information. My father and partner in this project. It would not have been attempted without his help. My brother and the mechanic of the family. My brother who is always willing to burn a weekend at the shop with me. A great welder who has been a great help on this project. Allen worked for the company I bought my components from. He no longer works there, but he was always willing to answer any of my questions. Allen, please contact me with your new email address. Reading through his conversion website gave me the confidence that I could actually make this happen. Thanks Gavin! 'Cause she said I could. The car and site would not have built if it were not for them.